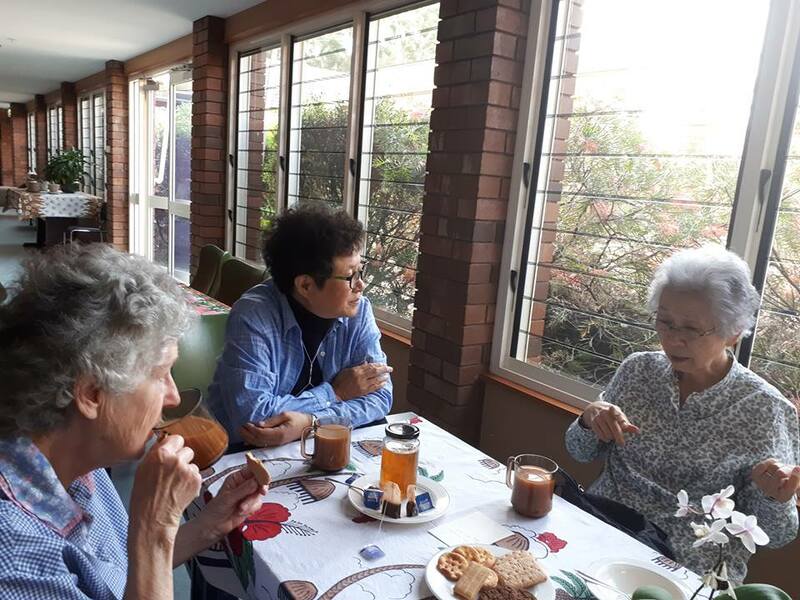 During September to November inclusive Kim Sook Hee and Park Buk Sil both from KOC and Esmey Herscovitch from ANZ are participating in the New Life program at the Marymount Mercy Centre, Castle Hill near Sydney. Participants in this particular group are all from the Asia-Pacific Region except one who comes from Kenya. The program includes local presenters who are experts in their fields which include scripture, ecology and cosmology, prayer, art therapy and journaling, culture, Christology, Church and mission … Spiritual companioning weekly and an 8 day retreat are included. Experiences together also occur from time to time such as a bush walk and a trip up the Hawkesbury River on a ferry, and visits to Canberra and the Blue Mountains. In between times participants take themselves to other places around Sydney. 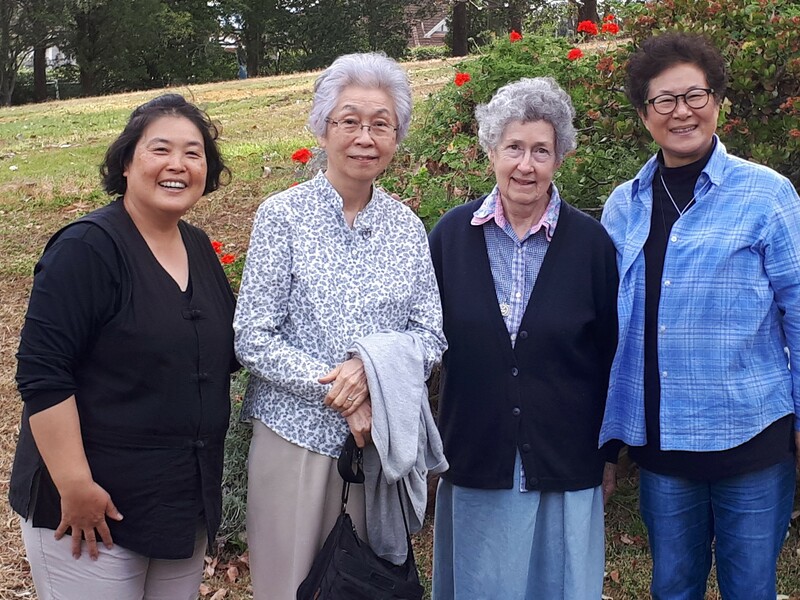 Sook Hee, Buk Sil and Esmey had the joy of catching up with Reiko Tanaka from Japan who was at the same time close by geographically, translating from English to Japanese for the Japanese sisters of the Good Samaritan congregation at their General Chapter. The Korean Martyrs were celebrated at Mass on their feast day and Sook Hee shared something of their story and significance. On the feast of St Francis of Assisi they prepared the liturgy with an emphasis on creation, using special readings and music.